Soon to be a Major Motion Picture starring Dame Judi Dench from director Stephen Frears, releasing September 22, 2017. 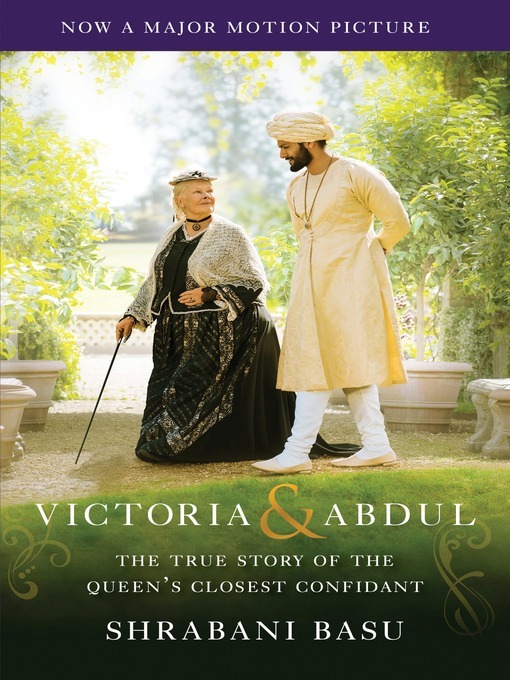 History's most unlikely friendship—this is the astonishing story of Queen Victoria and her dearestcompanion, the young Indian Munshi Abdul Karim. In the twilight years of her reign, after the devastating deaths of hertwo great loves—Prince Albert and John Brown—Queen Victoria meets tall and handsome Abdul Karim, a humble servant from Agra waiting tables at her Golden Jubilee. The two form an unlikely bond and within a year Abdul becomes a powerful figure at court, the Queen's teacher, her counsel on Urdu and Indian affairs, and a friend close to her heart. This marked the beginning of the most scandalous decade in Queen Victoria's long reign. As the royal household roiled with resentment, Victoria and Abdul's devotion grew in defiance. Drawn from secrets closely guarded for more than a century, Victoria & Abdul is an extraordinary and intimate history of the last years of the nineteenth-century English court and an unforgettable view onto the passions of an aging Queen.